Mid-century charm constrcuted with state-of-the-art craftsman ship with high end materials. 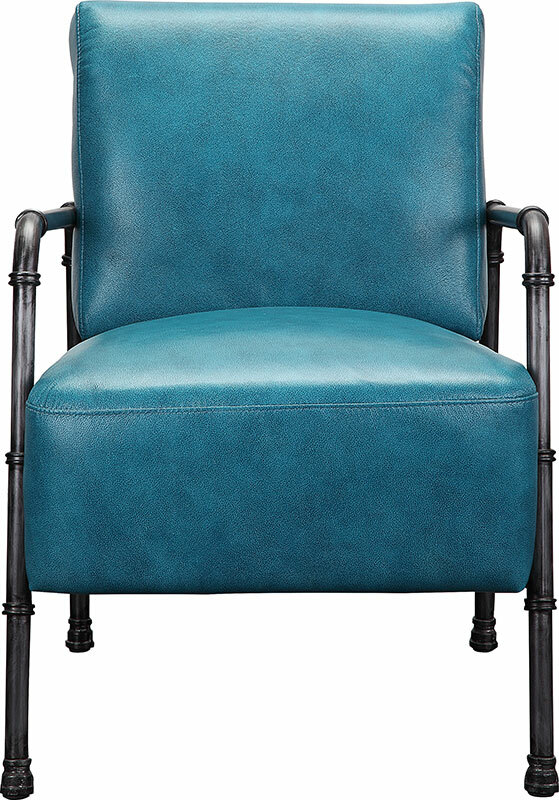 The Royce Club Chair features a blue, top-grain leather seat and back rest that is slightly distressed. 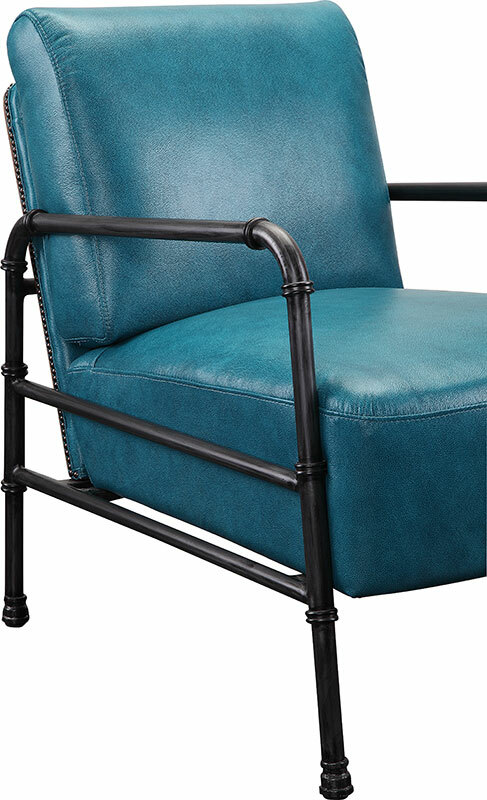 The chair is supported by a rather industrial steel frame. 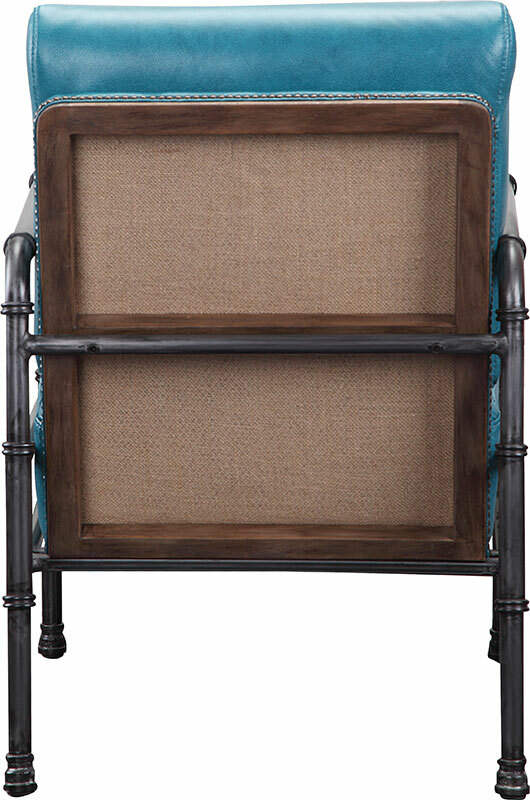 Exposed nail-head trim completes the look and turn this seating component into a work-of-art with retro flair. 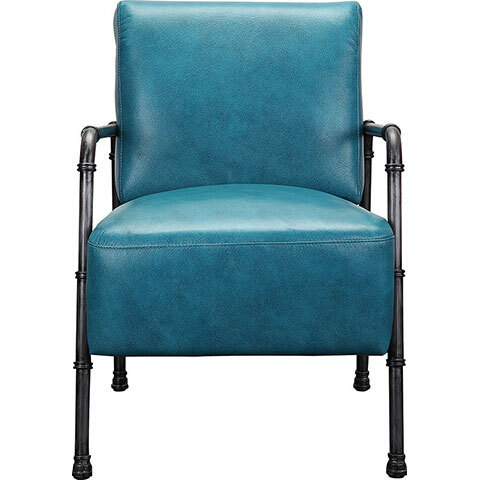 Royce is perfect as an accent chair in the living room or bedroom. Also, Royce is great as a side chair in the office or used as a waiting room chair.